Whether you are an individual, small business, or large corporation looking for local counsel, our goal is to treat you as a friend, not just a client. We are different, and that is why clients in central and southwest Virginia choose us as their counsel. We have offices conveniently located in Forest and Bedford, Virginia, and we have a new location in Lynchburg, 1022 Court Street, Lynchburg, Virginia 24504. We believe that we can assist you with most of your legal needs and consider ourselves to be solution providers for our clients. We also recognize that the legal landscape is ever growing and there will be times that it will be necessary for us to associate with or refer certain work to our colleagues in other firms. You have worked hard to provide for your family and yourself. You should see to it that, no matter what happens to you, your family members are taken care of and your assets are protected and distributed according to your wishes. From simple wills and powers of attorney to business succession planning, we will work with you to achieve your goals and help put your mind at ease. Whether you are a small company trying to navigate the litigious employment environment, or a large company working with experienced HR professionals, we will work with you to identify issues and develop solutions. We embrace a team approach to protecting the interests of your and company and working with HR professionals. We will work to advise, consult, and assist you in the formation and operation of your business as your counsel, and we have the ability and experience to litigate on your behalf as your trial lawyers. Collectively, we have had the opportunity to advise and represent diverse institutions, industries, and professionals. 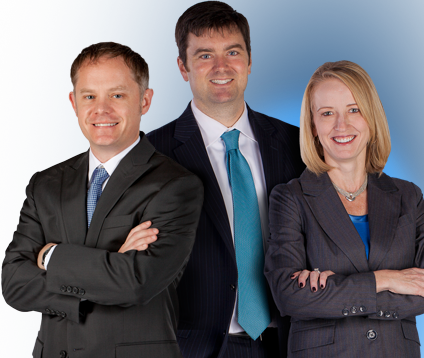 Overstreet Sloan is centrally located which allows us the opportunity to serve clients all across Central Virginia.